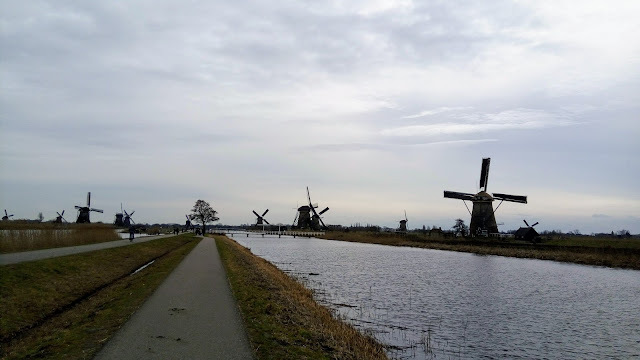 Those 19 old windmills standing along a long stretch of water with greenery everywhere. The view of windmills' reflection in the water is breath-taking. I am so glad that I decided to visit this beautiful place. 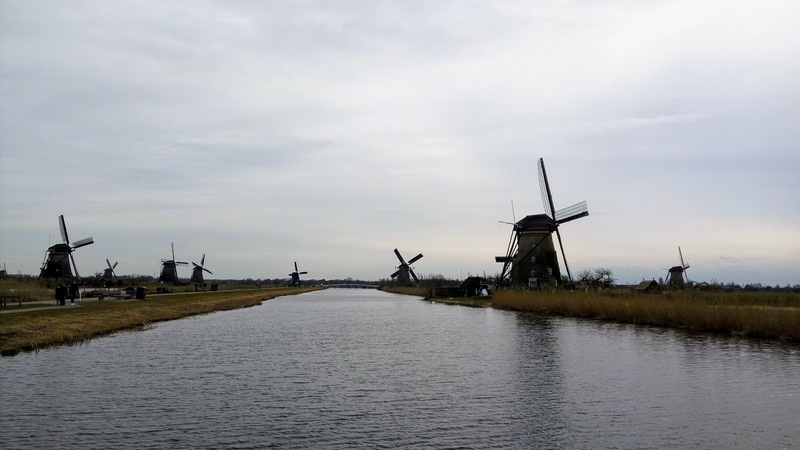 Kinderdijk takes you back to the history. It takes you to an entirely different world which is quite different from what you see every day. There are no skyscrapers, no glass buildings & no rush. The place is really peaceful and alluring. You can hear the sound of air & water flow. You will also see the water birds swimming in the water and occasionally diving or coming out of it. 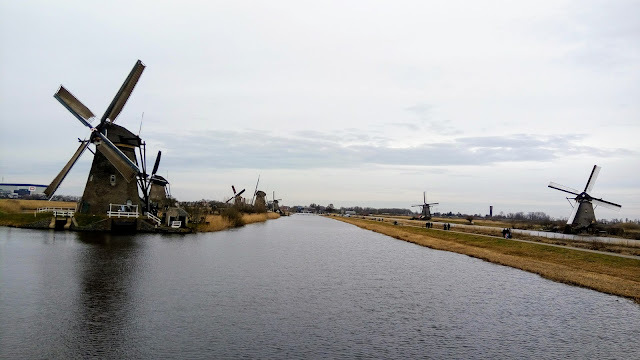 Now allow me to walk you through the Kinderdijk with the help of some of the photos that I took 😊 Words alone can't do justice! Traditional Dutch wooden shoes. You need to pay 50 cents to put them on. Close up of one of the 19 windmills. When the sun comes out for some time. Ducks swimming in the polder. Panoramic view of the windmills. I touched this up a bit & this one now is my phone's wallpaper. 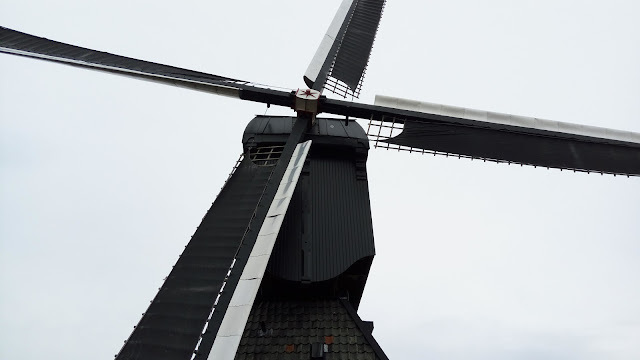 Closeup of a windmill (known as Blokweer) erected in 1738. 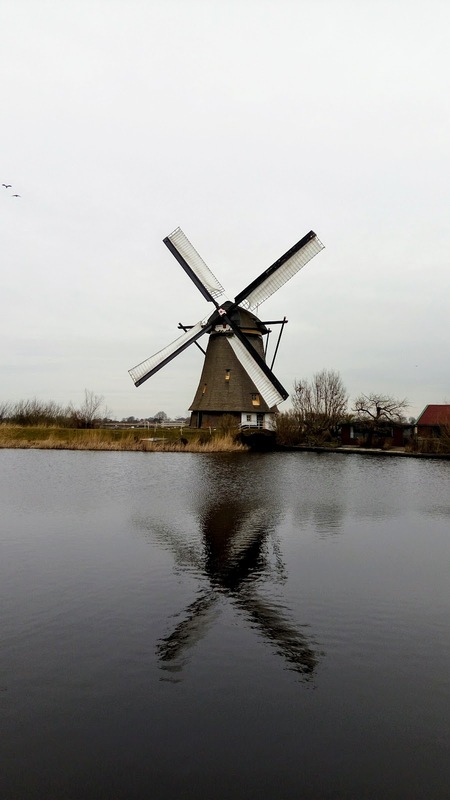 Reflection of windmill in water. 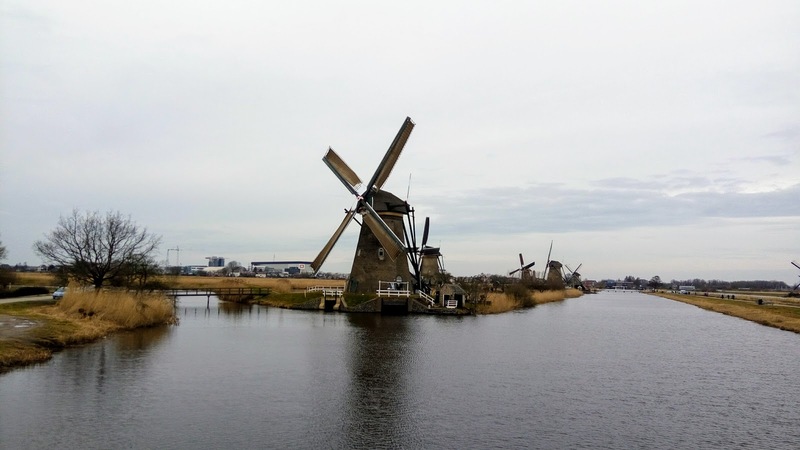 Apart from exploring the entire site on foot, you can also take a ferry which allows you to explore Kinderdijk from the water. The ferry ticket is 5.5 Euros and coupled with Windmill tickets, it would cost you 12.5 Euros. I didn't take a ferry because I wanted to click photos and see the place at my leisure. Even though there is a lot of walking involved, it's a great experience. I didn't get tired at all. You can also buy a windmill ticket which allows you to enter 2 of the windmills along with Wisboom pumping station and see how the whole system works. The cost is 8 Euros per adult. If you book the ticket online (details below), you get 1 Euro off. 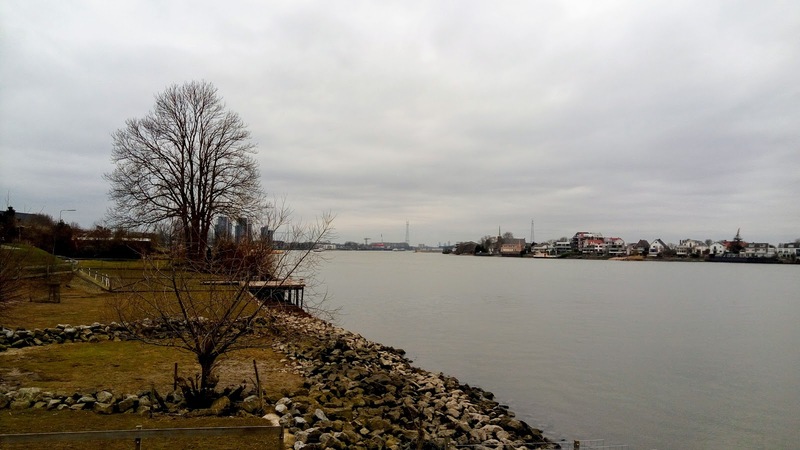 At the entrance, there is a small football ground and a park alongside the river confluence where you can sit and relax. 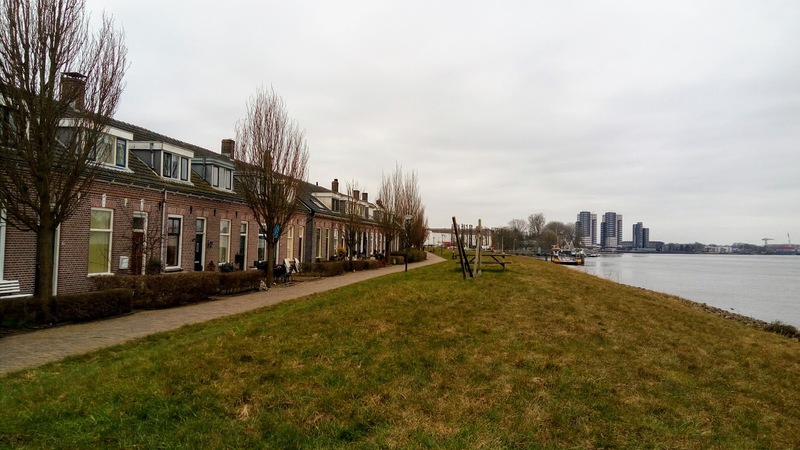 It also gives you a glimpse of Rotterdam city. A glimpse of Rotterdam city. There is a small cafe at the windmills site where you can grab burgers and similar stuff. Also, there is a public toilet beside the cafe. They charge 50 cents to use it. 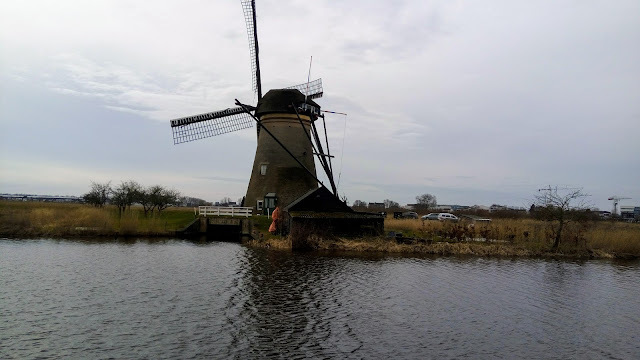 Near the entrance, there is a souvenir shop which sells articles related to Kinderdijk. Everything seems to be expensive, though 😉There is a toilet inside it and you have to pay 50 cents. Kinderdijk has connectivity with Rotterdam so you can always go to Rotterdam first and then take a ferry which goes to Kinderdijk and takes around half an hour. It's also the most exciting way to reach there. Keep in mind that there are no ferries during weekends. If you have time to waste, you can take a metro from Rotterdam Centraal station to Zuidplein and then there is a direct bus that goes to Kinderdijk (bus takes more than an hour). Bear in mind that it's more expensive and also takes a lot of time. There is also a direct bus from Utrecht and takes more than 1:30 hours. You can find Tourist Information Center at the Rotterdam Centraal station where you check for more information. They also sell a tourist ticket from Rotterdam to Kinderdijk for 13.5 Euros which includes the metro and the bus ticket (return trip). It, however, excludes any entrance ticket. 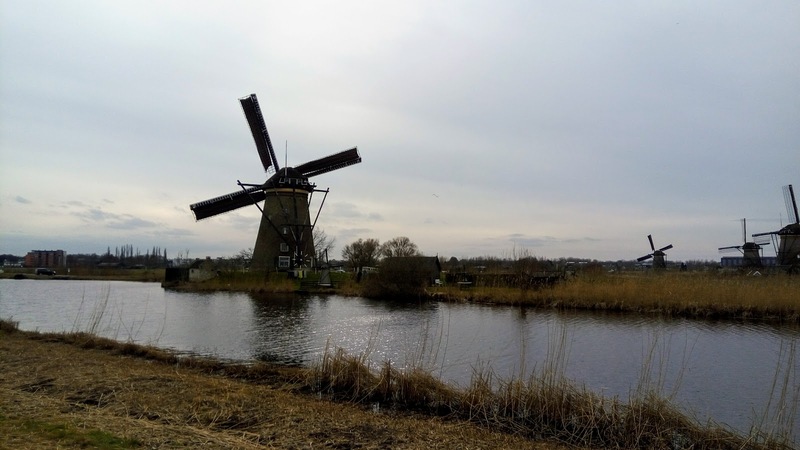 This tourist ticket also gives you unlimited access to public transport (Metro, Tram & Bus) in the South Holland region (Zuid-Holland) for 1 day. 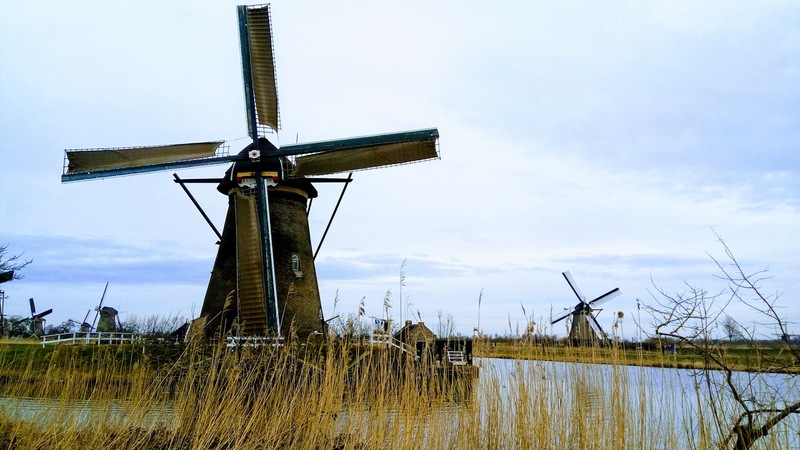 So you can also go to nearby cities like Gouda, Delft & The Hague as they all come under South Holland. 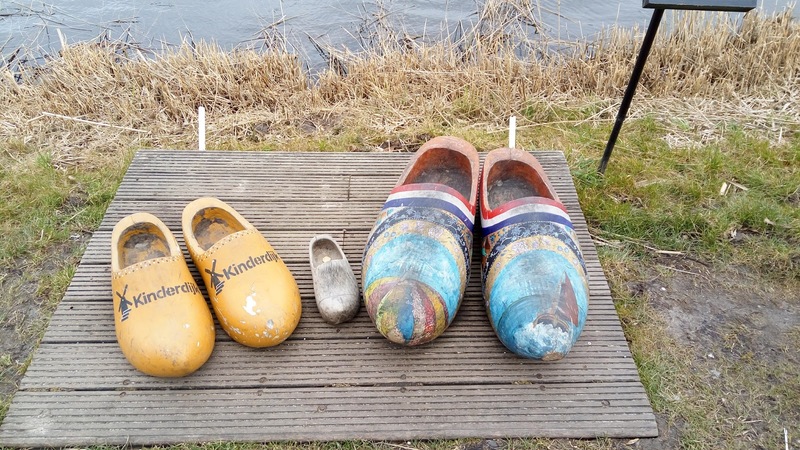 See this link from the official Kinderdijk site to buy tickets. 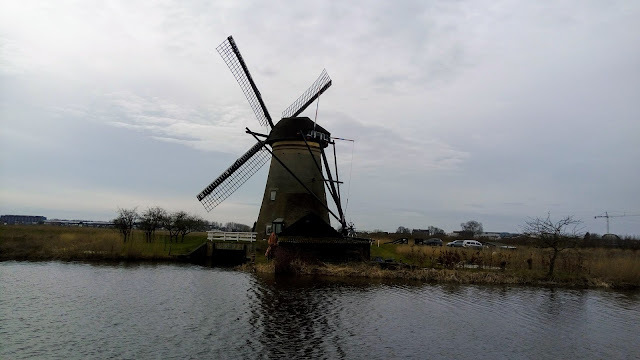 Remember that you can explore the Kinderdijk windmills without buying any ticket at all. All you will need is to just walk on foot, though.